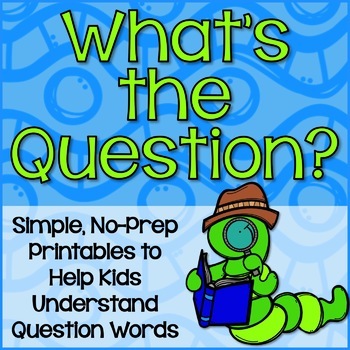 Do your students struggle with question words? Are they able to comprehend a text, but get confused by written comprehension questions because they don't recognize or understand question words? This packet provides no-prep resources to supplement comprehension instruction in the primary grades. 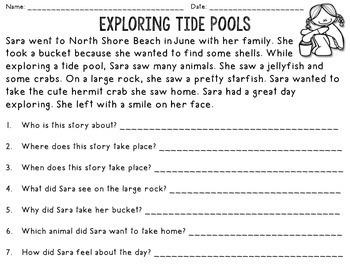 • 14 fill-in-the-blank worksheets with a variety of questions. 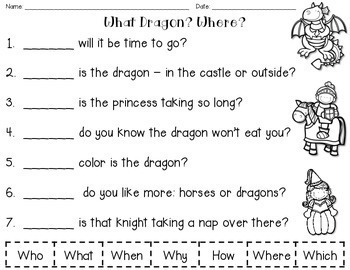 Students must determine what question word makes the most sense in the context of the question. Download the free preview for a sample page and a look at every page in the packet. 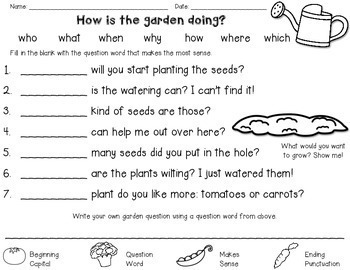 Last year, my students struggled so much with answering higher-order written comprehension questions -- a testing requirement for first grade in my state. Even if they understood the text, they seldom addressed the question. I supplemented read-alouds and daily conversations with the printables from this packet. They helped my students understand the meaning of question words so much. Please click the green star above under "Made by Miss First Grade" to follow me for updates, freebies, and discounts. Please consider leaving feedback on this item for TPT credits, which can be used toward future purchases. For more K2 ELA resources, click here.